Nine days ago I started my personal challenge. There have been some losses and some wins. - No eating out: Not a win! But not horrible. I've eaten out three times. Once because I left my lunch at home, once because I took K to the doctor and I HAVE to have White Castles after the doctor (it's good luck?, it says it on the copay receipt? 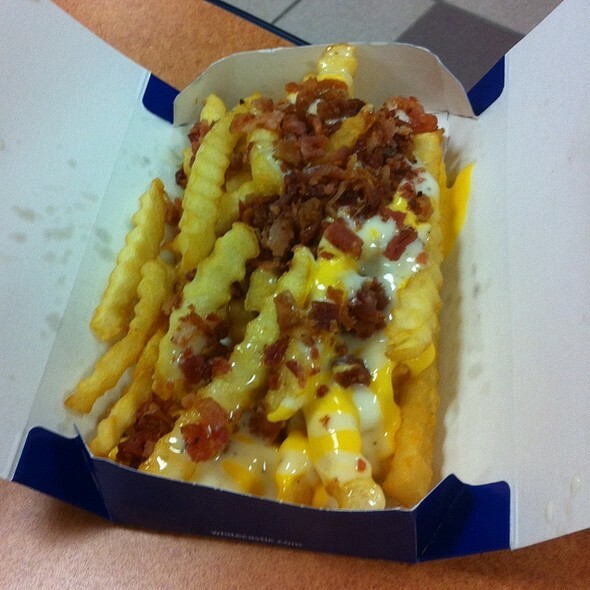 I really like loaded fries? ), and once because the husband had Chipotle and I had to have some! I had to. And the baby likes beans. So it was really for her. I should feel bad about eating these. But I do not. - "Do Right" - A win! I've been trying really hard. All of my homework is done and the class is over. I did some laundry once or twice and I cataloged all of the baby's things for donation. Progress. - Write Daily - A win/loss. I've been writing nearly (almost) daily, but not all of it has been done here. Homework is writing, even though it is boring writing that makes me sleepy. - Does anyone else's brain just shut down when they get bored? It's like I have a mental screen saver, it's really bad for productivity. On the weight loss front, it may be a Christmas miracle, but I lost again this week. I've had mostly home cooked meals, and I'm sure that's helped a lot. And I've been on it with my water. Except for today. Today my kidneys are sad and dry and I'm full of pop and O.J. I haven't been exercising and I know I need to, and I will, just not today. Week 2 Results: 1.5 lbs lost, current weight 211.0. It's a miracle. Week 1 Results: 3.5 lbs lost, current weight 212.5. Headed in the right direction!